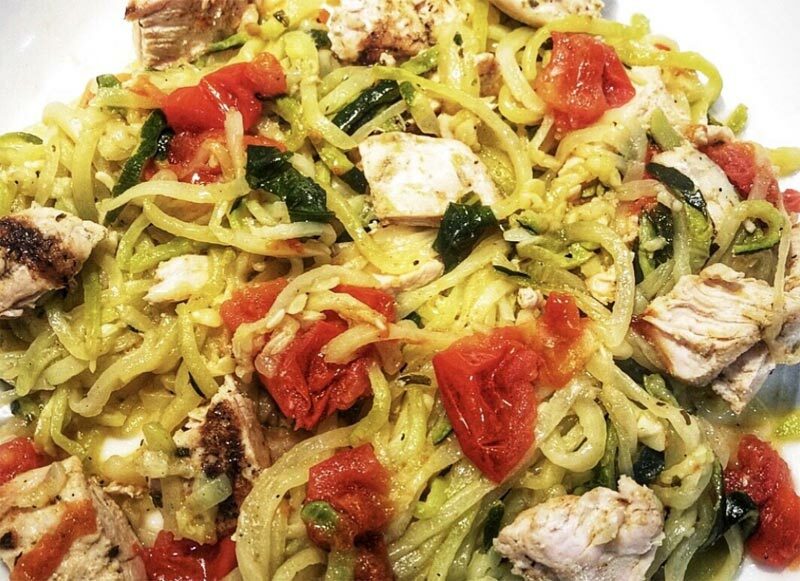 Click here for Karen's Tomato Basil Garlic Chicken with Spiralized Zucchini recipe from Glutenfree Globalicious Magazine's Web site. © 2019 Karen's Favorites. All rights reserved.